Junto a la información sobre las alubias, incluyen enlaces a una web que informa de Tolosa y a una receta de una tradicional alubiada vasca, que también les referenciamos aquí. 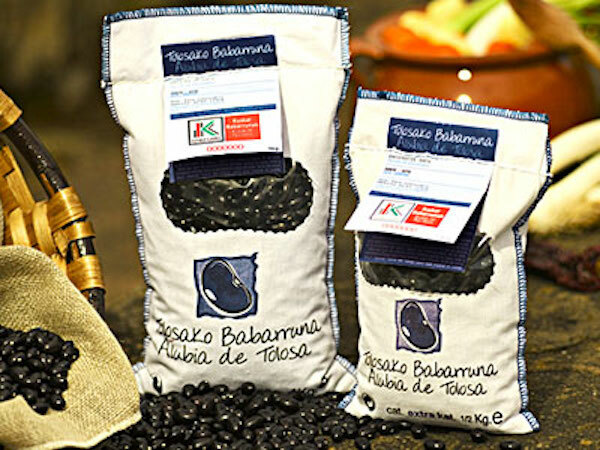 ‘Alubia de Tolosa’, which translates from Spanish to “Beans of Tolosa,” originates from the ancient town of Tolosa in the Basque province of Gipuzkoa, Spain. Tolosa is famous for its Saturday market and produce. It is reportedly the largest such market in the Basque Country and has been operating since 1256 AD. Tolosa Beans are famous because of the weekly market in the town of Tolosa, which has been held since 1,256 AD. Travelers from neighboring provinces had to pass through Tolosa on their way to France, so the reputation of the high quality legumes spread. Tolosa beans can range from a dark purple to black. Until the second half of the 20th century, beans were a daily part of the Spanish diet. Industrialization and a rise in the standard of living resulted in a reduction in the amount of beans a typical Spanish family ate. Today, the Spanish diet is changing once again. Nutritionists are encouraging the consumption of beans as part of a healthy diet, and there is a renewed interest in traditional Spanish regional cuisines. Artículo anteriorEITB por TDT en Navarra. ¿Barcina se opone por “fuero” o por “huevo”?